It's time again to celebrate St. Patrick's Day! The whole world is Irish on March 17th. 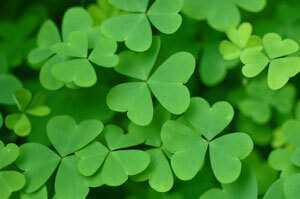 St. Patrick is the most famous patron saint in Ireland. He spread Christianity throughout the country until his death in the year 460. St. Patrick's Festival in Dublin is the largest event in Ireland. The whole family enjoys music, food, and good times during the days leading up to the parade on March 17th. St. Patrick's Spring Fest & International Band Festival is held in Limerick City. Cavan has its own music festival. There are parades in Galway, Athlone, Drogheda, Mullingar, Greystones, Killarney, Maynooth, and Monaghan. 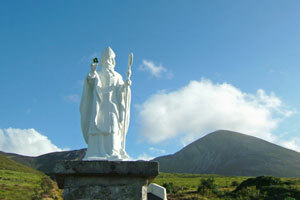 When you visit Ireland, you will enjoy the many sites associated with St. Patrick. The Saint Patrick Centre in Downpatrick, Northern Ireland, has a very nice display depicting his life and work. If you are not lucky enough to be in Ireland on St. Patrick's Day, look for a local parade or celebration and join in for music, food, drink, and fun! To read more about St. Patrick and Ireland, go to the Majestic Castles in Ireland website .